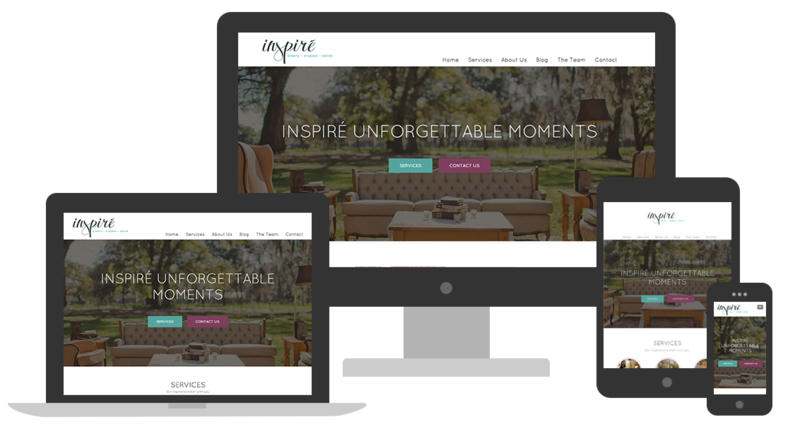 As a new business in the wedding and event planning field, Inspiré was looking for the whole package. They desired a look and feel that captured the essence of sophistication, elegance, and timelessness. I designed a custom logotype that spoke to Inspiré's desired look and feel and followed up with various branding materials including business cards, brochures, one-pagers, and more. An online presence was created utilizing a responsive wordpress theme integration. I also worked alongside one of the owners to compose all content across all branding material and website.